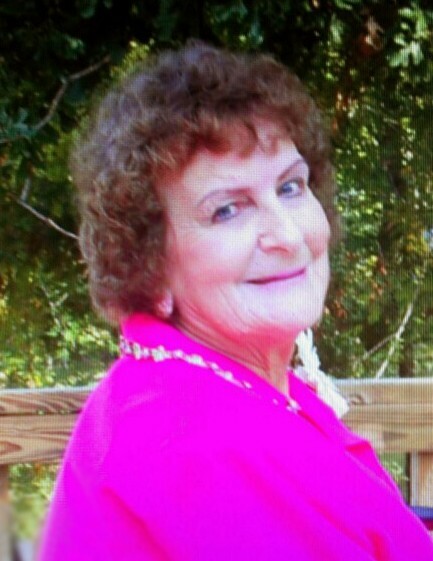 Funeral services for Elna C. Hutto, 85, of Lufkin, will be held Saturday, February 2, 2019, at 2:00 p.m. at Shafer Funeral Home in Lufkin with Bro. Horace Fletcher officiating. Interment will follow at Garden of Memories Memorial Park. Ms. Hutto was born October 4, 1933 in Trinity Co., Texas, the daughter of the late Joseph Elliott and Leona (Williams) Elliott, and died Wednesday, January 30, 2019 in Lufkin. Ms. Hutto loved her children, grandchildren, and great-grandchildren. She also loved her dog, Coco and to write poetry. Ms. Hutto enjoyed watching basketball and singing at church. Ms. Hutto is survived by her son and daughter-in-law, James and Nancy Hutto Jr. of Lufkin; son and daughter-in-law, Glen and Brenda Hutto of Roman Forest, TX; son and daughter-in-law, Jesse and Valarie Hutto of Lufkin; daughter, Patricia Gresham of Lufkin; 13 grandchildren; 20 great-grandchildren; sister, Bonnie Emerson of Lufkin; sister and brother-in-law, Linda and Roger Cheney of Lufkin; along with numerous nieces, nephews, and cousins. She was preceded in death by her parents, Joseph and Leona Elliott; husband, James Hutto Sr.; daughter, Linda Hutto; sister, Ima Jean Brooks; brother, Robert Elliott; and brother-in-law, Ed Emerson. Pallbearers will be Wayne Brooks, Jimmy Brooks, Collin Hutto, Montana Gresham, Dakota Emerson, and Steven Emerson. Honorary pallbearers will be Steve Emerson, Michael Emerson, and Eddie Emerson. Visitation will be from 1:00 p.m. to 2:00 p.m., Saturday, February 2, 2019 at Shafer Funeral Home in Lufkin, prior to the funeral service.